of life in communities throughout Sub-Saharan Africa. Africare’s 500 staff members operate in 13 countries across Africa. Headquarters is based in Washington, DC where the Executive Office, Programs and Business Development, Finance, Human Resources and Administration, Fundraising and Development, and the Governance Departments are based. Africare is preparing to respond to the anticipated RFP for a USAID multi-year project aimed to improve Maternal, Infant, and Young Child Nutrition (MICYN) in selected regions of Tanzania. The purpose of the project will be to improve the nutritional status of women of reproductive age, especially pregnant and lactating women, adolescents, and children under five. We are seeking to identify highly qualified individuals to possibly fulfill the role of the Nutrition Social and Behavior Change Communication (SBCC) Lead in Dar es Salaam. This individual will provide technical support and strategic guidance for the design and implementation of evidence-based SBCC activities. • Develop and refine as needed all relevant SBCC related tools and materials in close collaboration with technical staff, stakeholders, and donor. • Strengthen the capacity of project staff, implementing partners, stakeholders and others in implementing SBCC interventions in the project. • Provide overall strategic direction for nutrition SBCC-activities. • Develop and manage the SBCC team work plans and budgets, ensuring consistency with the Project’s strategic direction and priorities. • Ensure timely, quality delivery on assigned activities, including management of budgets related to those activities. • Contribute to and provide inputs on the annual work plan, required project reports, baseline data, tools and indicators for monitoring and evaluation, collection/sharing of lessons learned. • Manage the development of evidence-based program standards, guidance, and tools that reflect global best practice in nutrition SBCC and promote widespread application and use of these standards. • Lead efforts to build capacity in the design and implementation of sustainable, high impact, and highquality nutrition SBCC programs. • In collaboration with internal and external stakeholders, identify key gaps, best practices, and promising new approaches for nutrition SBCC. • Document lessons learned related, evaluate the impact and modify SBCC approaches as needed. • Advanced Degree in nutrition, health education, communication, or related field. • Minimum of 10 years of relevant experience in international nutrition/public health programming with an emphasis on SBCC and community nutrition programs including MIYCN. • Knowledge and experience in the design and implementation of evidence-based behavior change strategies, approaches, materials, etc. • Prior field-based work experience designing or implementing nutrition and or health SBCC programs. • Ability to work effectively in a team, and in cross-cultural settings). • Demonstrated success in working with local government and NGO stakeholders, and experience in capacity building. • Strong record of fostering new and effective partnerships including participation in technical advisory groups, international consultations, boards, etc. • Research skills, preferably informative and or “operations” research. • Experience delivering technical assistance in developing country settings, on both facility and community-based MIYCN programs. • Demonstrated success in applying SBCC theory and approaches in field settings. • Experience overseeing the technical quality of programs integrating nutrition into maternal and child health, family planning, food security/livelihoods. • Ability to develop and apply monitoring and evaluation plans to determine program results and monitor impact. • Written and oral proficiency in English. • Knowledge of USAID and other donor policies, strategies, and program priorities preferred. Applications should include a CV and cover letter. In the cover letter (of no more than two pages in length), the potential candidate should briefly describe his or her motivation for the position and highlight relevant experience and salary requirements. Please email materials to tanzania.vacancies@africare.org , include “SBCC Technical Lead" in the subject line. All applications must be submitted by email no later than April 27, 2018. Interviews will be conducted on a rolling basis beginning April 24, 2018. 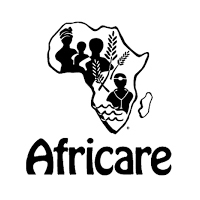 Africare is an Equal Opportunity and Affirmative Action employer committed to workplace diversity.